When comprehensive efforts to select and implement evidence-based practice bridge academic programs and community services, the whole becomes greater than the sum of its parts. 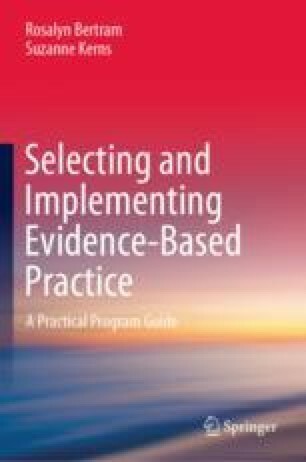 Evidence-based practices can be selected and implemented in a sustainable manner while simultaneously developing an evidence-based and implementation-informed workforce. This chapter addresses how community-based service organizations and academic programs can develop complementary and interwoven supports that integrate implementation science and evidence-based practice. A final allegorical tale sets the stage for a brief presentation of two current examples that demonstrate the feasibility of such an integrated and collaborative approach.